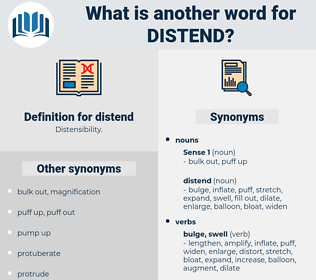 What is another word for distend? 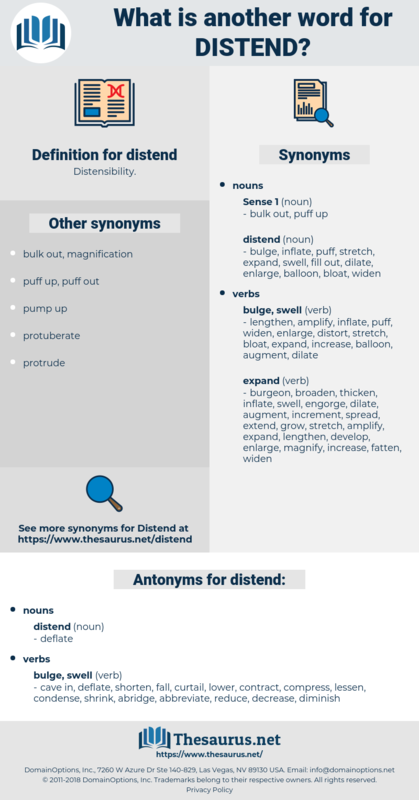 cave in, deflate, shorten, fall, curtail, lower, contract, compress, lessen, condense, shrink, abridge, abbreviate, reduce, decrease, diminish. dissident, decedent, destined, Distended, decadent, distant, death's-head moth. intumesce, swell up, bloat, swell, tumesce, tumefy.